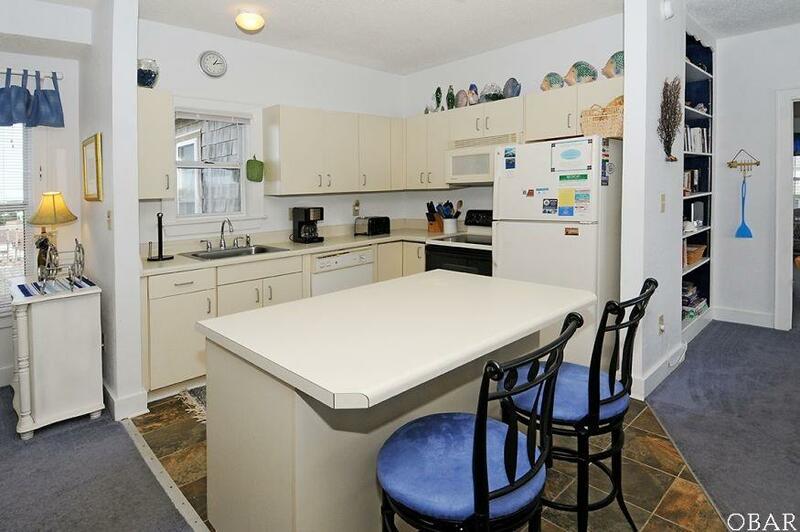 Enjoy a lofty retreat from the real world in this top-level end unit in the Islander Condominiums in Avon. 'Cirrus' is just right for your next family vacation home. 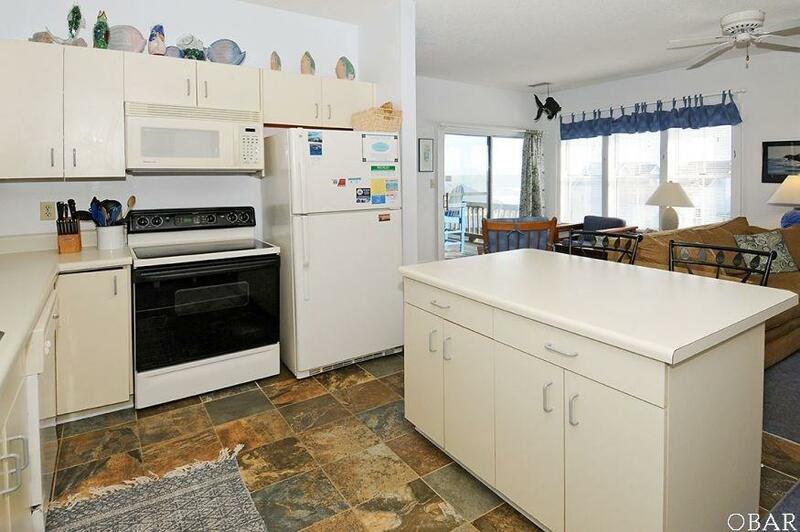 The central living, dining, and kitchen area with breakfast bar opens onto a shaded deck with a partial ocean view. Off one side of the living area is the queen master bedroom, which also opens onto the shaded deck and features a Jacuzzi tub in the private bathroom. A second queen bedroom is off the other side of the living area, along with a full bathroom with shower stall. 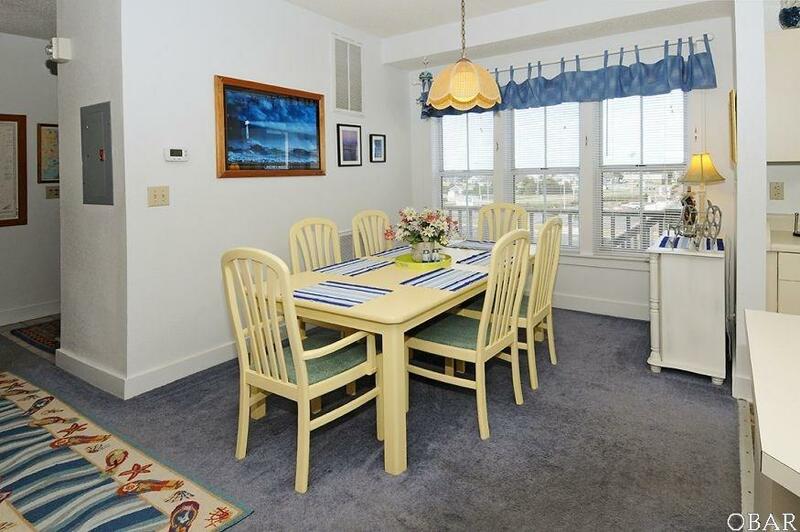 Enjoy the community pool, picnic area with park grill, and boardwalk to the sandy beach. 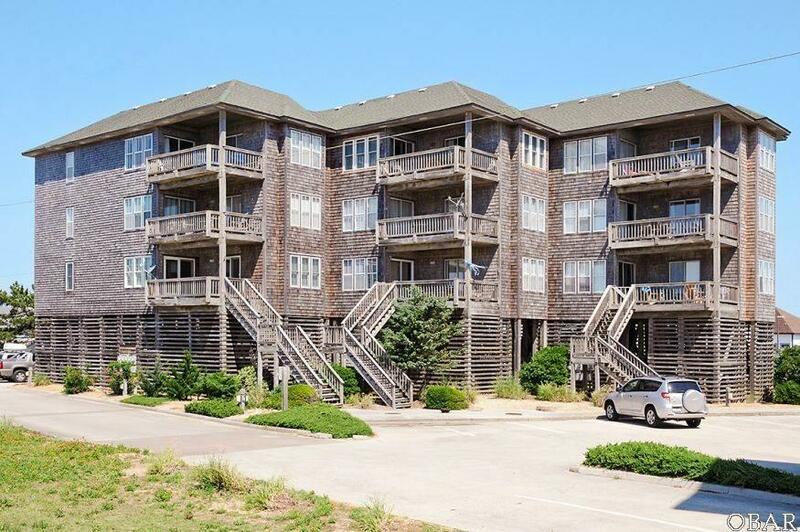 Koru Village is just a quick walk away, with a spa, fitness center, pool, and the Avon Fishing Pier. Take in a show at the Beach Klub right next door on warm summer nights or grab a bite at any of the nearby restaurants within walking or biking distance. With shopping, dining, and entertainment right at your fingertips, call today and make 'Cirrus' your next investment property!